As Israel and Palestine continue to wrestle over the resolution of a centuries-old conflict, a new study published Monday has concluded that the two-state solution -- categorically rejected by Israeli Prime Minister Benjamin Netanyahu until recently -- could bring in a total of up to $170 billion to the economies of the feuding sides. RAND Corp., in its report, estimated that, over the next decade, Israel’s economy would get a boost of over $120 billion while the Palestinian economy would gain $50 billion if only the two sides agreed to end the ongoing standoff. The study examines five alternative outlooks -- a two-state solution, a coordinated unilateral withdrawal, an uncoordinated unilateral withdrawal, nonviolent resistance as well as a violent uprising -- and evaluates them against the costs of a continuing impasse. “A two-state solution produces by far the best economic outcomes for both Israelis and Palestinians,” Charles Ries, the study’s co-author and a vice president at RAND Corp, said in a press release. “In a decade, the average Israeli would see his or her income rise by about $2,200, vs. a $1,000 gain for Palestinians, compared with our projection for present trends,” translating to a 5 percent jump in income for Israelis and a 36 percent spike for Palestinians. The two-state solution calls for the creation of an independent Palestinian state alongside a Jewish nation based on borders that existed before the war in 1967 when Israel annexed most of the territory claimed by Palestinians. 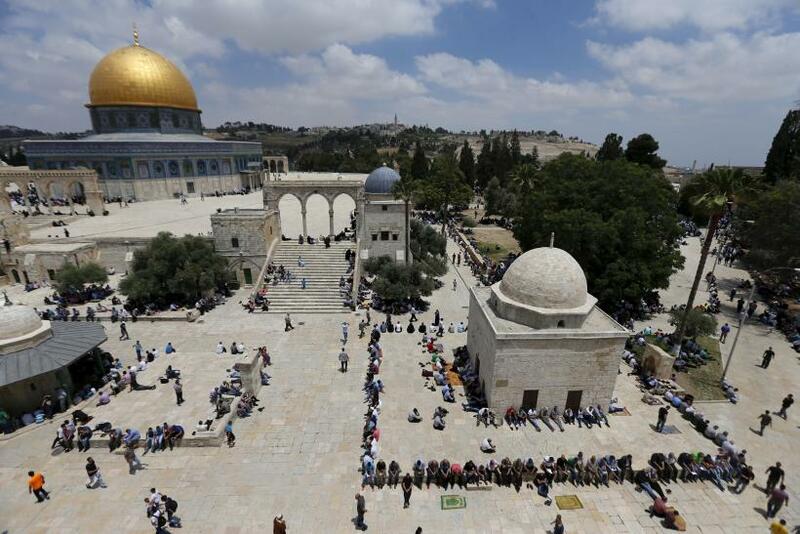 However, several Israelis and Palestinians, including the Islamist group Hamas, have so far rejected the proposal over disagreements over the distribution of territories within the states created under the proposal. The researchers also predicted that if hostilities continued between Israel and Palestine, there would be heavy economic consequences -- with the West Bank and the Gaza Strip suffering a 46 percent plunge in gross domestic product while Israel would see its GDP drop by 10 percent. If current trends are taken into account, according to the report, Israel stands to lose $80 billion (and Palestine $12 billion) in the non-violent resistance scenario -- which some experts believe is already unfolding with Palestine acting to exert international pressure on the Israelis. But, compared to the benefits of a two-state solution, losses from the non-violent resistance scenario are considerably higher for both sides -- with Israel potentially losing about $200 billion while the Palestinian economy could lose $60 billion, the report found. The researchers arrived at the conclusion with the help of a ‘costs of conflict calculator’ that breaks down the cost-benefit equation of each scenario, and allows users to change their assumptions to examine a range of policy scenarios. The study comes almost a year after Israel launched military operations in the Gaza Strip. The seven-week war resulted in the deaths of more than 2,200 people, mostly civilians, in Gaza. An Israel-imposed blockade on the Gaza Strip has shaved off about 50 percent off the region’s GDP and, according to a World Bank report, Gaza’s GDP would have been four-fold higher if the region's economy was not disrupted by constant conflict. The World Bank report also found that unemployment in Gaza was the highest in the world at 43 percent with youth unemployment rising to over 60 percent by the end of 2014. "We hope our analysis and tools can help Israelis, Palestinians and the international community understand more clearly how present trends are evolving and recognize the costs and benefits of alternatives to the current destructive cycle of action, reaction and inaction,” C. Ross Anthony, a co-author of the study and director of RAND's Israeli-Palestinian Initiative, said in the report.